I am often asked the same question by Madison area home sellers, “what home repairs hold the most value?” It is a very natural question as everyone is trying to get the highest return on their investment. Who wouldn’t? And with this same question that comes from seller to seller, comes almost always the same answer from me. Buyers are looking for a clean, well-priced home with updated kitchen and baths. Now please understand that I am not necessarily suggesting that everyone interested in selling their Madison area home run out and perform major renovations on their kitchens and baths. I do understand that this is not necessarily realistic. I can however offer some advice that may set you apart from your competition in this competitive Madison area real estate market. •1) Make your home show ready by always keeping it clean inside and out. This is a must in every market, but it is extremely important during a time when Madison real estate inventories are high. Buyers have a lot to choose from and you don’t want them to get turned off because you fell behind on your spring cleaning. •2) Bold colors are in this year. With a little bit of money, you can give your Madison home a little makeover with bold colors on the exterior and interior. Since the appearance of your kitchen and bath is generally the most crucial to your sale with a Madison buyer, start with a paint job in those rooms first. 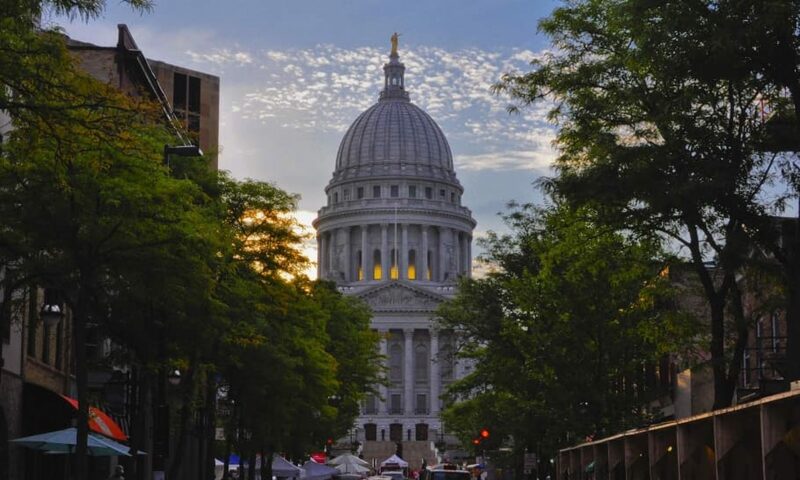 •3) Madison area buyers are “greener” than ever! If you do decide to renovate your kitchen or bathroom, research eco-friendly materials that will set your renovations a part from your Madison real estate competition. In the bathroom you can put in a green faucet and shower head that conserve water and give your bathroom a luxurious modern look. You can also use recycled eco-friendly glass tiles. They come in bold colors and are usually made form 100% recycled glass. An extra bonus…they also clean easier that most other tiles. Another cool touch you can add is recycled glass door knobs. They also come in great bold colors that will compliment those recycled glass tiles. You can check out GetWithGreen.com for more great tips and eco-friendly home repair materials.